﻿ 73 Suites London. JIMAT di Agoda.com! Ada soalan mengenai 73 Suites? Dengan lokasi mudah di London, 73 Suites adalah tempat yang hebat untuk menjelajahi bandar yang menarik ini. Dari sini, tetamu boleh menikmati akses mudah kepada semua yang bandar meriah ini boleh tawarkan. Juga terletak berdekatan adalah Kensington Market, Whiteleys, Bayswater. Di 73 Suites, perkhidmatan yang cemerlang dan kemudahan yang unggul menjadikan penginapan anda tidak dapat dilupakan. Untuk keselesaan dan kemudahan tetamu, hotel ini menawarkan Wi-Fi percuma semua bilik, Wi-Fi di tempat awam, khidmat bilik, peti deposit keselamatan, kawasan merokok. Alami bilik dengan kemudahan berkualiti tinggi sepanjang anda menginap di sini. Sebahagian bilik menyediakan televisyen skrin rata, internet wayarles, internet wayarles (percuma), bilik larangan merokok, penyaman udara untuk memudahkan tetamu berehat dan kembali bertenaga. Di samping itu, pihak hotel menawarkan aktiviti rekreasi untuk memastikan anda mempunyai perkara untuk dilakukan sepanjang penginapan anda. Apabila anda mencari penginapan yang selesa dan mudah di London, ijadikan 73 Suites sebagai rumah anda seperti berada di rumah sebenar. It's well located, around the block from Bayswater tube station, a lot of restaurants and supermarkets, within walking distance to Hyde Park. Rooms are of good area, ours was a 3 person one, with a TV, a small fridge, an electric hot plate and microwave. Bathroom was big for London standards. All the similar accomodations have no lift, this was the case, the room was the topmost at the third floor, so we had to carry bagagge three stories; for us "athletic" ones was no problem, but I couldn't see an elderly carrying a suitcase or two. The Agoda site offered two prices, one with breakfast and the other without, but be warned, the hotel DOES NOT OFFER BREAKFASTS; so we wasted a few dollars... The TV remote control never worked, and it was too cumbersome to jump over the third bed to setup volume or channels. But the room was worth it. We have stayed at more plush hotels in the area and this one has the most room space. Apart from the negative comments, I wholely recommend this hotel. Hotel have no lift not good for family with young children. They should put family room at low level instead at 3rd floor. No breakfast provided by hotel even it state in booking breakfast included. Own cooking facitities, Staff and clean. Suite 73 served it's purpose. It is not very spacious but the facilities were adequate. But it was quiet economical. The place is nice and close to good food and tube station. No elevators with very narrow staircase. 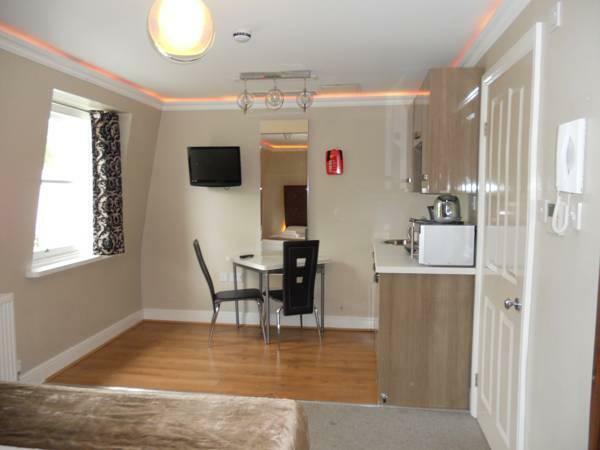 Room is cosy and has free internet connections. it's quite good for the room, clean n big. just if u have big suitcase , u need to carry up or down to the stairs~ no lift~ many restaurant around there! 73 Suites is near esplanade de la defense station(5 minutes) and la defense station (15 minutes) which makes it extremely convenient to travel around. The receptionists are friendly and always ready to help you when needed. The room is big and comfy for 3 person. Kitchen and utensils are provided to do some simple cooking. No room service daily though unless you want to pay an extra charge. I stayed for 7 days so it did get kinda dirty but not too bad. Free coffee and tea provided at lobby and free wifi usage in room also. You an use the computer for free with wifi too in the lobby. Nothing much to complain about. Great overall. This hotel does not provide breakfast but it was stated in Agoda that breakfast is included. However after we booked, agoda sent us an email naming that they made a mistake and this hotel has never provide any breakfast. We are quite disappointed because breakfast was one of our criteria in choosing the hotels. Overall the hotel is near the city and near the subway. It is clean but the drawback is small room, no elevator, and no sound proof window. Nice location for eating, Easily to go everywhere by Bayswater tube and Nice people. Staying in &3 suites is nice location. I walked to Hyde Park, or find something to eat. You can easily walk to in bayswater street in 2 mins. and the bayswater tube station is just there. everything close to each other. I bought some food and walk across to hyde park and picnic there. also if i wanted to to another area, i also get to everything close and nice too. it was a good hotel but the room is quite small, as well as the shower room. However, the room was clean and in a good condition. 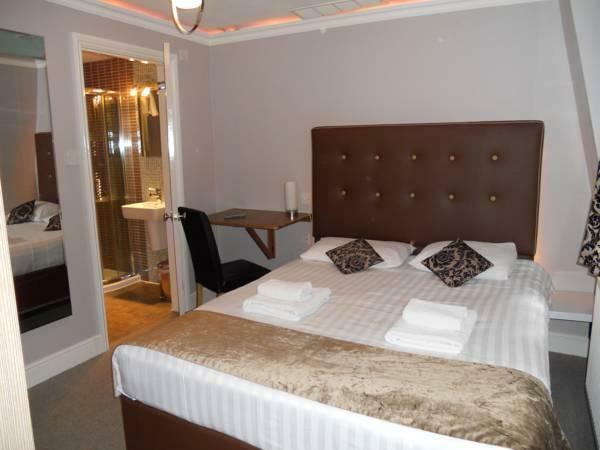 The location of the hotel is very convinient, took about 3-5 mins to tube stations (bayswater, queensway). many restaurants close to the hotel. 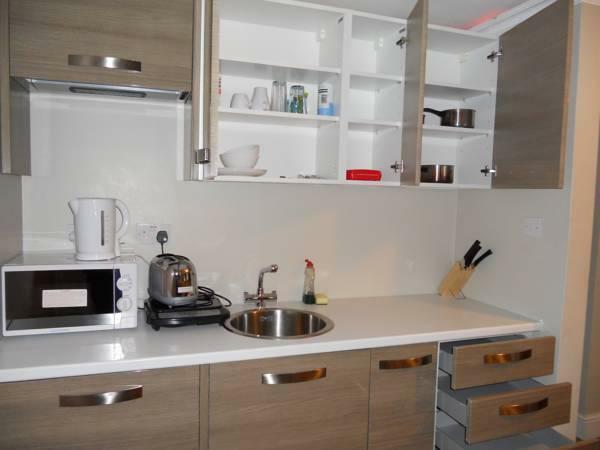 The location, the good air-conditioning, the kitchenette. In general we have enjoyed our stay but in the check we got our room on the top floor but hotel has no elevator and no porter service ,have to log our heavy suitcase all the way to the top floor. Not good for elderly people. Great. We loved all the romanian staff who was very friendly. We came back one day and we found a towel folded into a swan on our bed which just started a huge laugh as it was beautiful and very unexpected. We enjoyed our stay here, we stayed here at the beginning and end of our honeymoon. 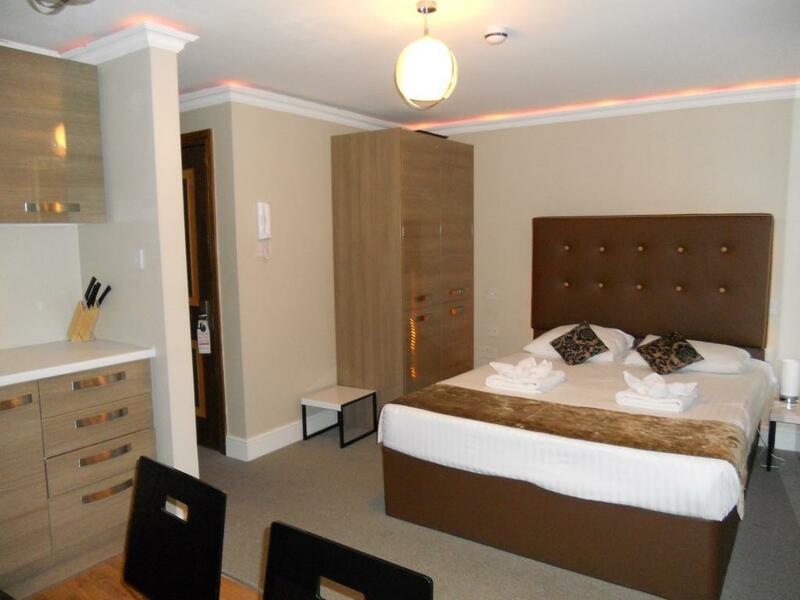 It was in a great location, close to Hyde Park and Bayswater station. 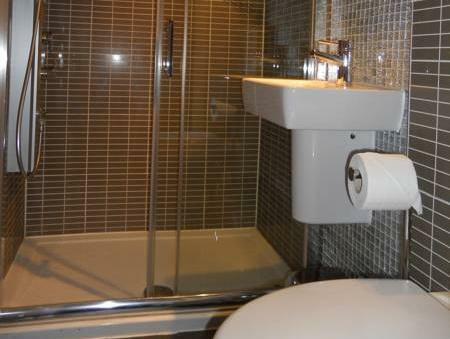 It was very clean with modern bathroom facilities and kitchenette. Staff were friendly and very helpful. The only down side was that there was no lift. But we would definitely stay here again. Room was pretty small and rather noisy due to guests moving to reception and stairs. Price reasonable considering good location in the Queensway/Paddington area.